India's batting mainstay Cheteshwar Pujara will re-join Nottinghamshire for the final four Specsavers County Championship games of the 2017 season. 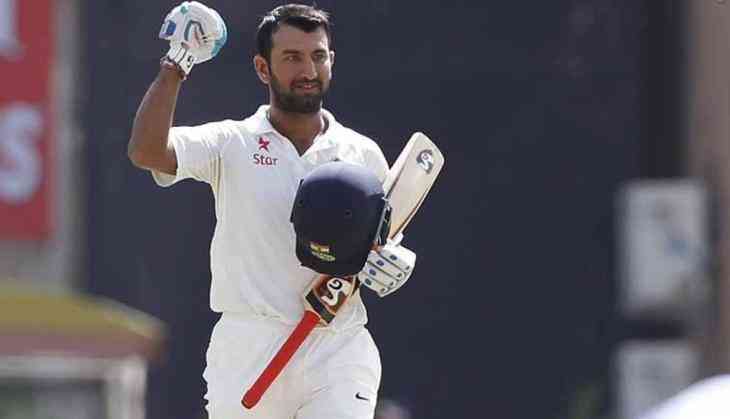 Pujara will be available for the home and away fixtures against Northamptonshire, as well as the matches against Worcestershire (at Trent Bridge) and Sussex (at Hove), as the club look to secure promotion from Division Two. He featured in four games earlier in the summer, scoring 223 runs at an average of 44.6, including 112 in the victory over Gloucestershire in late May. The 29-year-old scored 309 runs at 77.25, including two centuries, in the recently concluded Test series against Sri Lanka which India won 3-0. "The great thing is that he has already been in the squad this season and he fitted in so well both on and off the field," ESPNcricinfo quoted Peter Moores, Nottinghamshire's head coach, as saying. "He is a fantastic player, and since he has been away he has had a great time of it in the Test matches for India. So we are getting a guy who is coming back in form and for the team spirit, Pudji coming back in is a huge boost for everybody," he added. Pujara will be seen in action when Nottinghamshire take on Northamptonshire from 28 August.